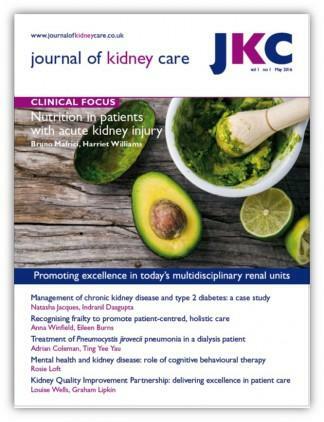 Journal of Kidney Care (JKC) is dedicated to the entire multidisciplinary unit; it aims to establish best practice, help you to improve your skills, and promote excellence in care. Formerly known as the Journal of Renal Nursing, the name of the journal changed to reflect the range of its content and the support it provides to every member of today’s multidisciplinary renal teams. Be the first person to tell us what you think about Journal of Kidney Care and you'll save £2.50 on your next purchase!